The course is intended to let the personnel from the research institutes and industry to obtain a professional level of embedded system programming. Upon successful completion of the courses, the participants will have understanding and skills required for Embedded Programming. 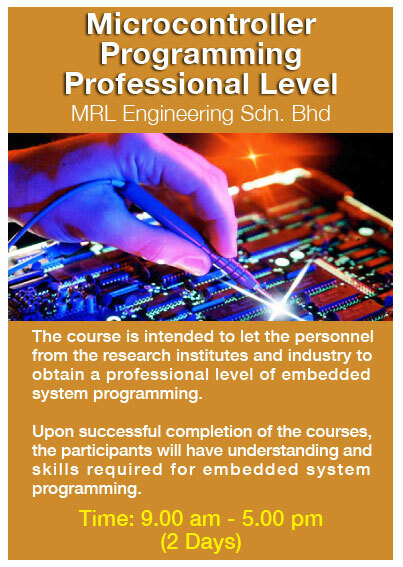 During the hands on session, participants will have opportunities to put their theoretical knowledge into practical, and general knowledge about the software’s developed by MRL Engineering in embedded system programming.